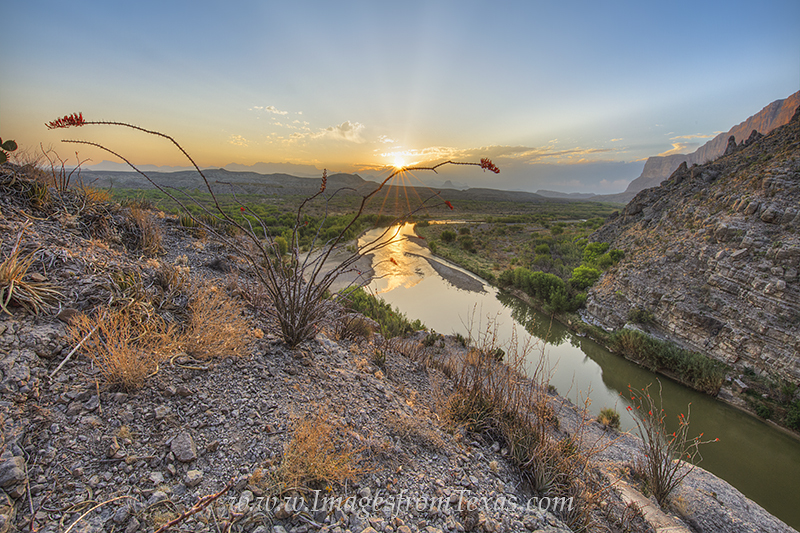 On a calm spring morning in Santa Elena Canyon in Big Bend National Park, the sun's first rays begin to spread over the Chisos Mountains in the distance. The Rio Grande River runs through the 1500 feet high canyon walls and divides Texas from Mexico. In the foreground, the rugged and native Ocotillo blooms with its delicate red flowers. Photo © copyright by Rob Greebon.